Start Monitoring & Filtering Today! Every text message is logged even if the phone’s logs are deleted. 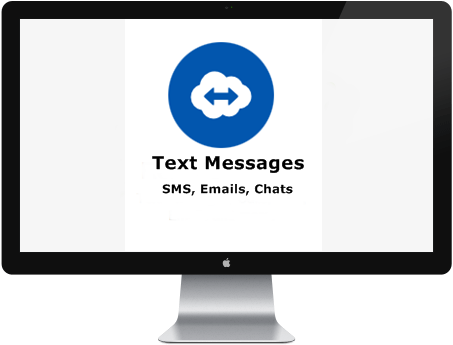 Text messages are extremely popular these days amongst all mobile users. Today’s young kids prefer text messages to voice calls. Many business owners remain extremely worried because any employee with a Smartphone can very easily take pictures of important official documents and text them to the competitors. This is why text message tracking capability is considered to be one of the most important features of any mobile monitoring application. GPS positions are uploaded in periodic, regular intervals on a Google Map. 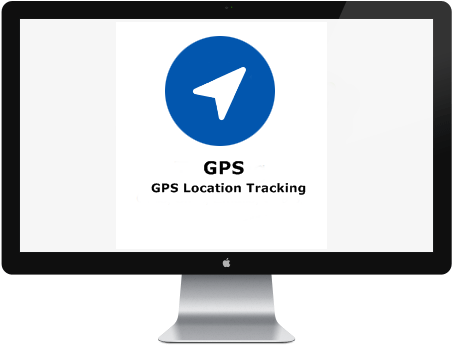 Our GPS location tracking feature can be extremely handy for the parents confused about where their children go when they are out of the home. It has also been observed that many company workers spend time on personal causes, claiming to be busy on official work. Highster Mobile’s mobile tracking application is a surefire solution to both these problems. 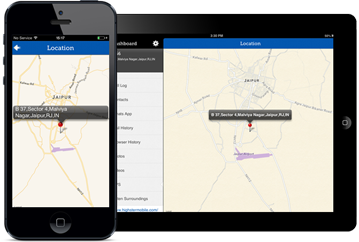 This feature can also be useful while trying to find out the physical location of a lost or misplaced mobile phone. 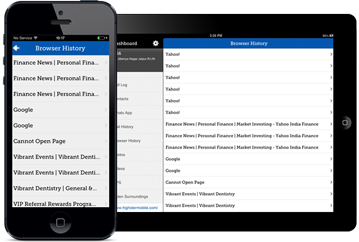 Out of hundreds of mobile monitoring applications in the market, Highster Mobile has built its reputation as a highly sophisticated yet user friendly alternative. Our Live Control Panel deserves all the credit behind making Highster Mobile the favorite choice for common users just like you and me. Highster Mobile’s iMessage monitoring feature is an extremely popular alternative for people looking to record all messages sent from and received by an iPhone, iPad, or Android device. Instead of the text messaging feature of the carrier, these advanced mobile devices use iMessages. Most of the tracking applications can only monitor regular text messages, but not the iMessages. Just like the regular text messages, Highster Mobile can also retrieve all iMessages with their full content. All photos & videos taken and recieved by the phone are recorded & are viewable. Nowadays, almost all of us use our mobile devices to capture and store photos and images of things. However, the world of the internet exposes the children to loads of inappropriate content found all over the web. Highster Mobile’s multimedia monitoring feature can be a life saver for the parents looking to protect their children from this problem. Each incoming and outgoing number is logged along with duration and time. Tracking the list of incoming and outgoing calls from the target phone is one of the most basic expectations from a mobile monitoring application. 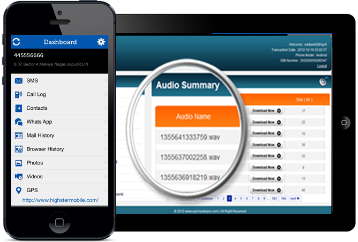 Highster Mobile’s call log tracking feature logs the numbers corresponding to each incoming and outgoing call with duration and time stamp. 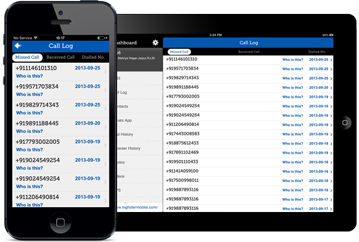 Call logs can be a very powerful source of information and evidence, particularly for the Highster Mobile users. Mobile tracking programs are used by many people to restrict the target phone users from accessing certain types of websites. Highster Mobile’s URL tracking features make it a trusted choice for parents trying to figure out what websites are being accessed by their children from their phones. Business owners also use this program to find out whether their employees are wasting time online during working hours. With Highster Mobile, you can catch them red handed with all necessary details pertaining to their internet browsing history. Facebook, Twitter, Instagram, Skype…and more.All of us are well aware of the problems caused by the extreme popularity of different social networking platforms. Many parents complain that their children are wasting valuable study time accessing social networks like Facebook, Twitter, etc. from their mobile phones. Similarly, many organizations now suffer from the loss of effective working hours because of the social media habits of their employees. Highster Mobile’s Stealth Camera is one of its most popular features. Pictures and videos can make your job of mobile phone tracking extremely easy and more effective. While using our advanced application, you just need to initiate the camera to click images and take pictures of the surroundings. 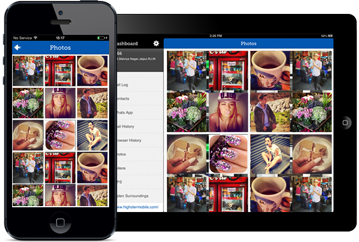 Highster not only takes these pictures and images, but also makes it possible for you to view them online or with your cell phone. Safely monitor your children and employees with our top cell phone monitoring solution!